For more than a decade Lori M. Ballard, M.S.A. has been a champion for– small, minority, disadvantaged and women business owners – in the Detroit Metro area. Well-respected in the business community, her background in business development and program management for the Wayne County Airport Authority led her to found Ballard Associates in January 2012. She created Ballard Associates to leverage her experience by becoming a mega resource for growing companies across the country. Lori M. Ballard has been recognized by the National Association of Women Business Owners Greater Detroit Chapter (NAWBO) with its Top Ten Business Women – Red Tape Buster Award and the National Association of Women in Construction (NAWIC) selected her for their Crystal Vision Award. 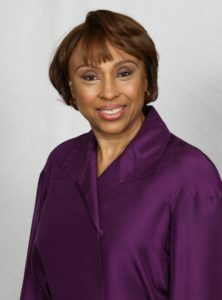 She is also a proud member of the Airport Minority Advisory Council (AMAC). Ballard Associates is a team of highly skilled consultants who have been selected to assist clients as needed. As leaders in their respective fields, they are well able to provide analyses and solutions for clients across the board.